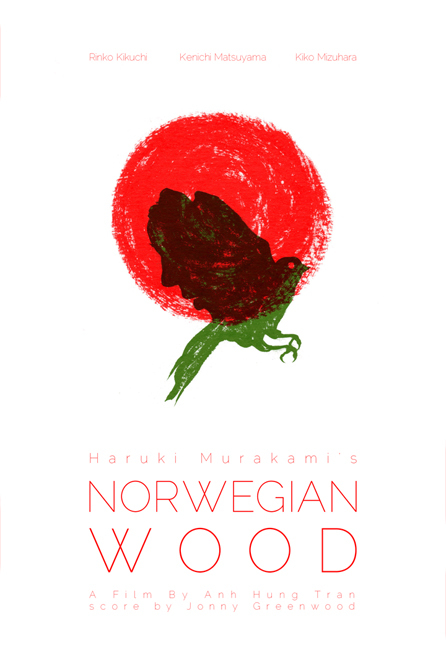 my entry for don’t panic‘s poster design competition for the film adaptation haruki murakami’s norwegian wood. jonny greenwood did the score! i’ll post more about the design after the competition closes at the end of the week. enjoy.